Rose to fame as one of the pets of the Bratayley bunch. 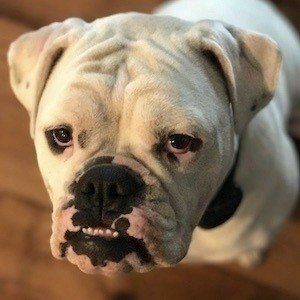 A bulldog, she and the rest of her fur siblings have earned more than 850,000 followers on their Bratayley Instagram account. She made her YouTube debut in the December 2014 video titled "New Puppy and Name Reveal." She has often appeared in popular videos on the Bratayley YouTube channel like "Shopping with Winnie." She is owned by Annie and Hayley Noelle LeBlanc. Her fur siblings are a boxer named Piper and a French bulldog named GG. She is a member of the Bratayley family alongside Annie and Hayley's parents, Billy and Katie LeBlanc.